For many people, staying organized simply isn’t easy. This shortcoming isn’t necessarily a bad thing on a day-to-day basis. But when a lack of organization becomes magnified after an injury, it can seriously jeopardize a legal claim—especially when dealing with maritime law, big corporations, and aggressive insurance companies. The trick to prevailing in these situations is bringing hard, credible proof that the story of your injury is the one and only true story. While this may be easy in some situations, in others, it is difficult. Having an experienced maritime injury lawyer on your side is invaluable for making sure you receive the appropriate maintenance and cure benefits to which you’re entitled, by building a strong and reliable claim from the beginning. Your personal account of the accident. As soon as you’re able, write down everything you can remember about the accident. Every detail you can recall is important. The progress of your medical treatment. Sit down daily and note how you’re feeling and what, if any, type of medical treatment you received that day. Make sure to include the name of the doctor, what you talked about, and whether she prescribed any medication or further treatment in your daily report. Your documents. Save everything you receive on paper (notes, receipts, bills, medical records, prescriptions, letters) that’s related to your accident. If you receive any electronic communications, make sure they’re dated and print them out to be saved with your other paperwork. 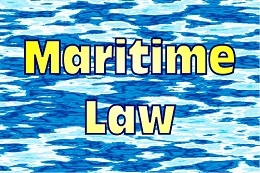 An experienced maritime lawyer will supplement your records. His investigation skills include interviewing witnesses, analyzing medical reports, deposing experts, and requesting relevant documentations. Resources, knowledge, and expertise acquired over years of practice can ensure these techniques are done correctly. A disciplined attorney can not only help confirm the information needed for your claim but also help you acquire and organize it to best illustrate your case. If you’re entitled to compensation, having as much evidence as possible—no detail is too small—will strengthen your case. However, securing evidence and having access to information that you can’t do anything with, are two different things. This is especially true when dealing with maritime law. Maritime laws are complex, and may force you to have to bring your injury claim under a number of federal laws, such as the Jones Act and the Longshore and Harbor Workers’ Compensation Act, each having separate regulations and requirements. However, no matter which laws pertain to your accident, proving that you deserve full financial compensation requires an airtight claim. An experienced maritime attorney can ensure the right information is recorded, the right resources are exploited, and the right (and fair) amount of damages is awarded. How long he’s been practicing maritime and offshore law. How many cases he’s currently handling. How many cases he’s successfully concluded. How past clients feel about his representation. Steve Lee has represented Houston area families for four decades, and has worked hard to make sure that each family has received justice and peace of mind. Isn’t it time he worked for you? What injuries can I recover for after a Texas maritime accident?